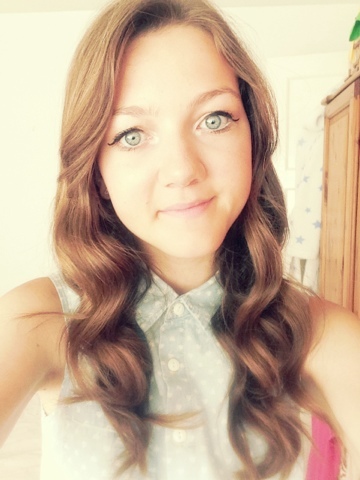 As I've purchased a few beauty products recently I thought why not do a review on one of them? 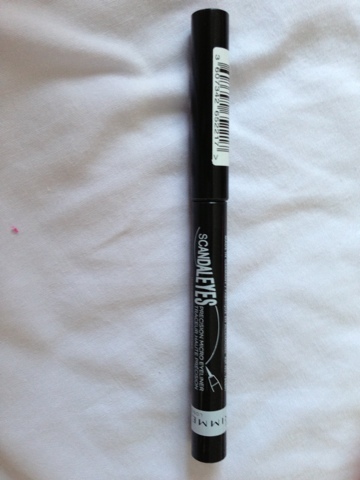 This product I'm reviewing is called scandal eyes precision micro eyeliner by Rimmel. I think these liners are new out because I haven't seen them in my local boots/superdrug till I bought one. I was on the look out for a good waterproof liquid eye liner that will last as my eyes tend to water especially in the heat which is weird and also when it's windy. The fact that the tip was really thin intrigued me and I really wanted to test it out. 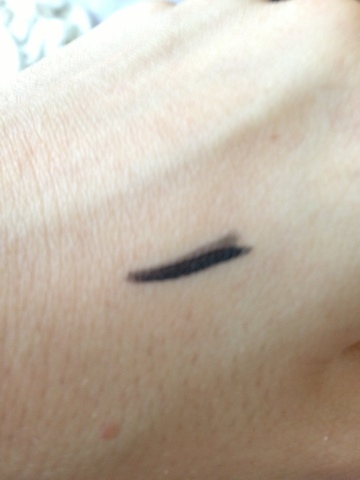 Here's what the tip looks like and there's a swatch of the eye liner. This is what it looked like on the first day I tried it out. However after a few uses I've found that the colour doesn't go on too easily and that the eye liner fades quite easily as well. 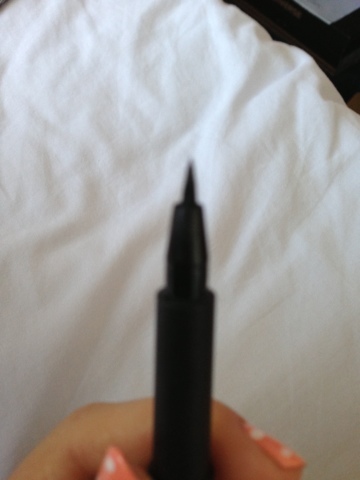 The liner has dried out pretty quickly which I'm disappointed about and it doesn't resist water as much as it used to. I'm not sure if its because I've been applying it over eye shadow that has caused the liner to be drier or what. I would say that I do like the application of it though because I find felt tip eye liners are the easiest to apply, so that would me a positive for me! Also that it does agree with the name because it can create the ultra thin line. I have tried this eye liner and I wasn't happy with it either! It was like trying to use an eye liner which had run out!